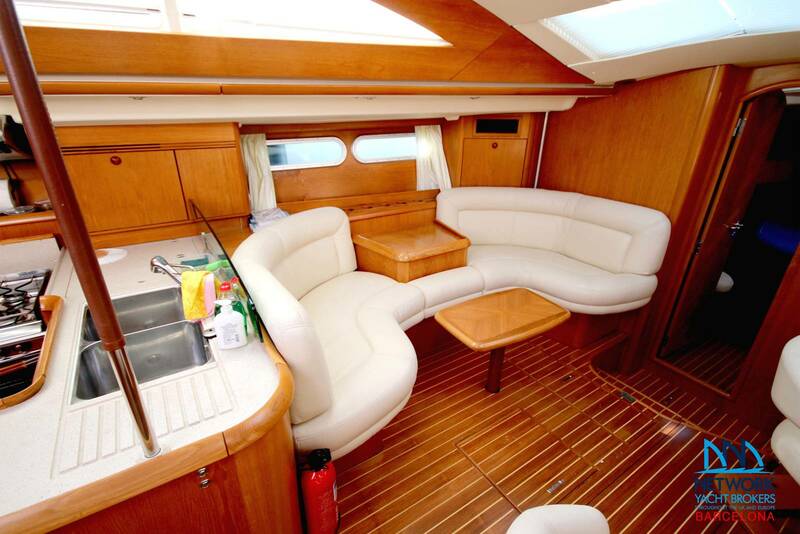 Jeanneau Sun Odyssey 54 DS 2005 model year commissioned and launched in 2006. 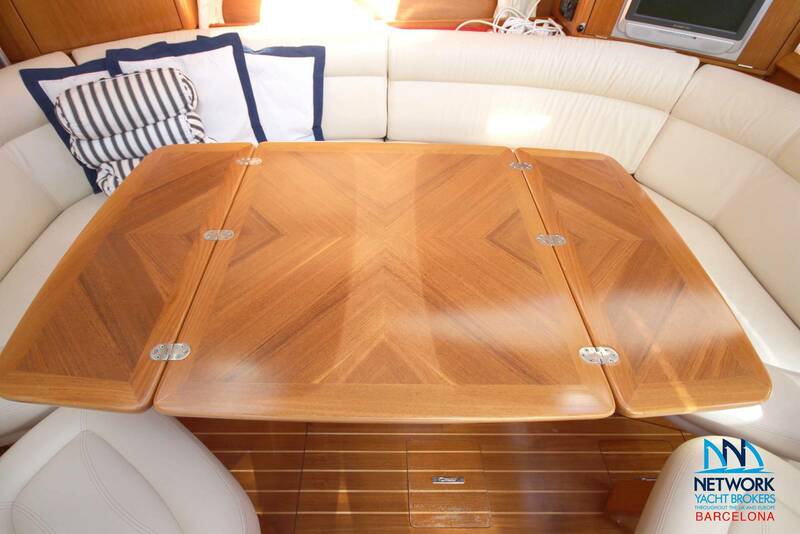 This Yacht has a blue hull and teak decks. 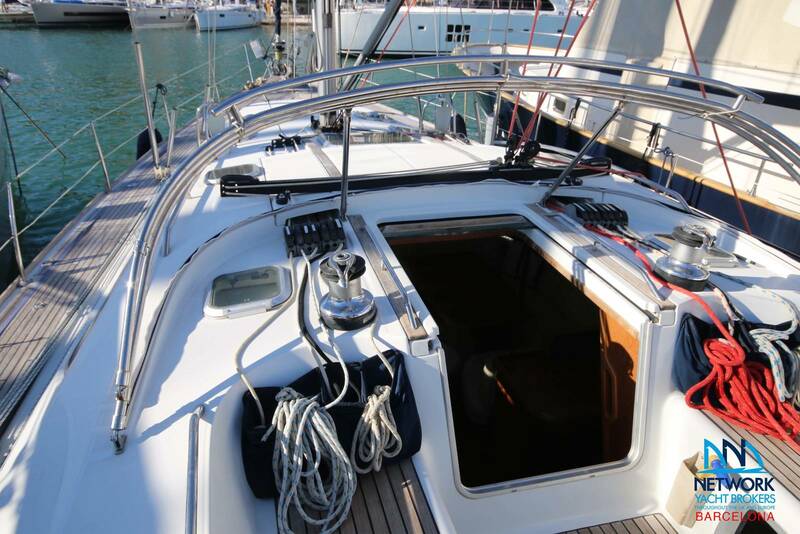 In mast furling is standard, and she has many extras. 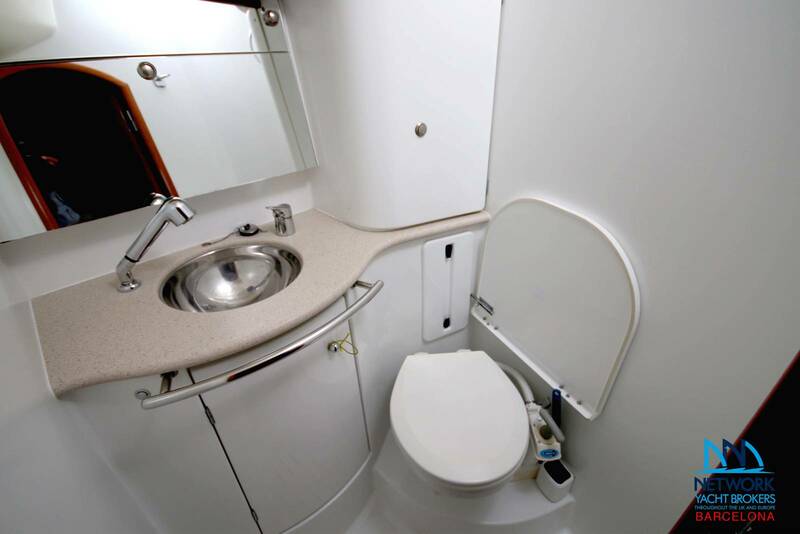 Sleeping six comfortably in three cabins with the owner's cabin cleverly positioned forward. 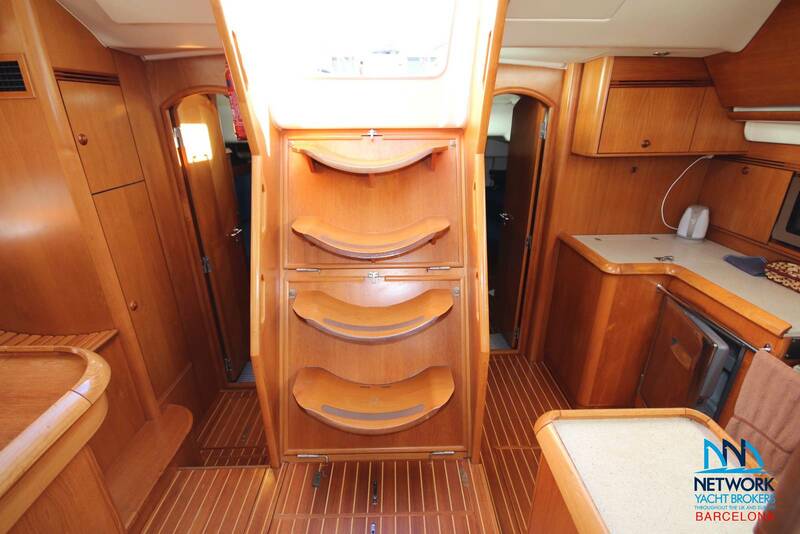 The aft cabin divider is removable though which would make a big aft cabin if needed. Fluenta is very well presented, having just two owners from new. 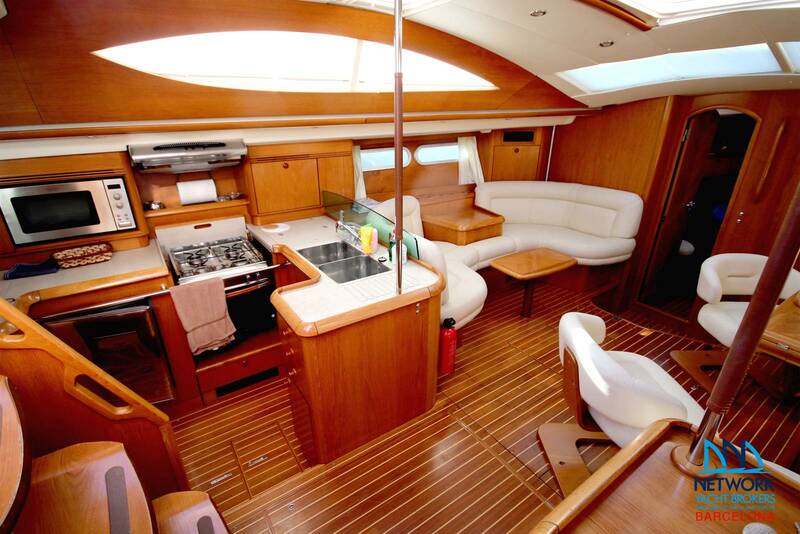 This 54 DS Yacht has a full Mediterranean specification that includes air conditioning and a generator. 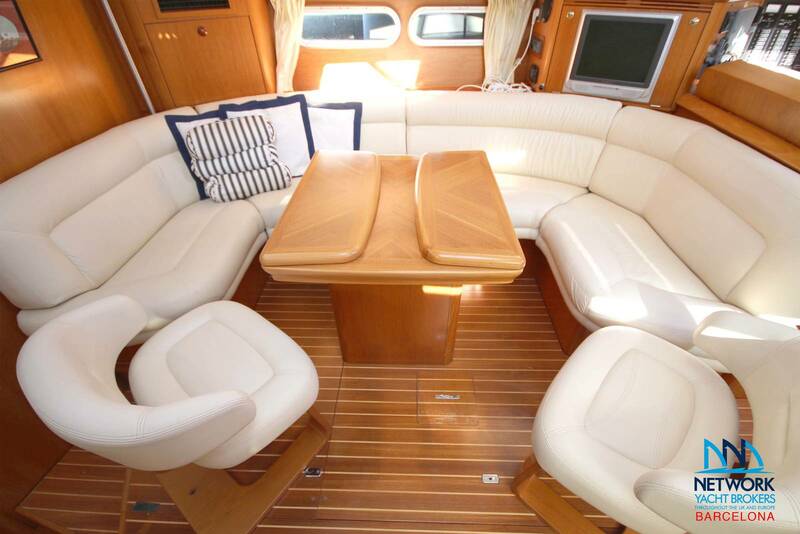 The owner has said to us that everything on the yacht is included in the sale price. 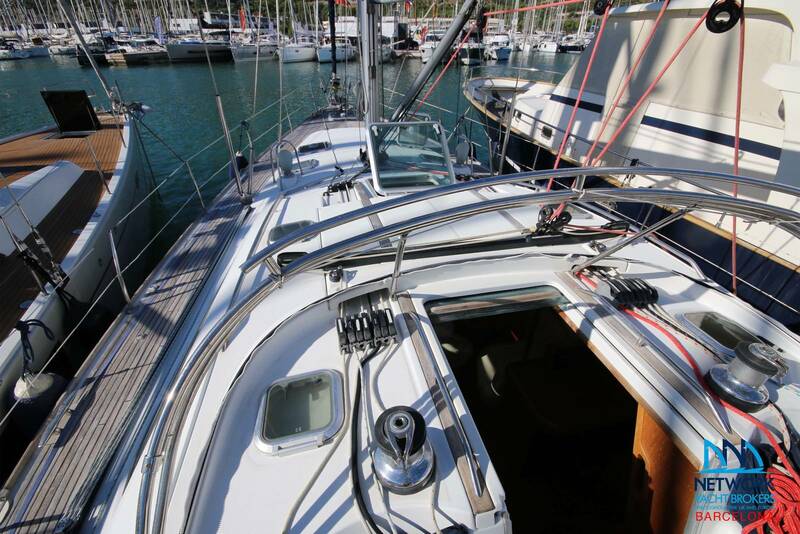 We do recommend a viewing of this beautiful yacht, she was one of the best designs ever build by the Jeanneau yard. We are very close to Barcelona International Airport so why not come and visit? 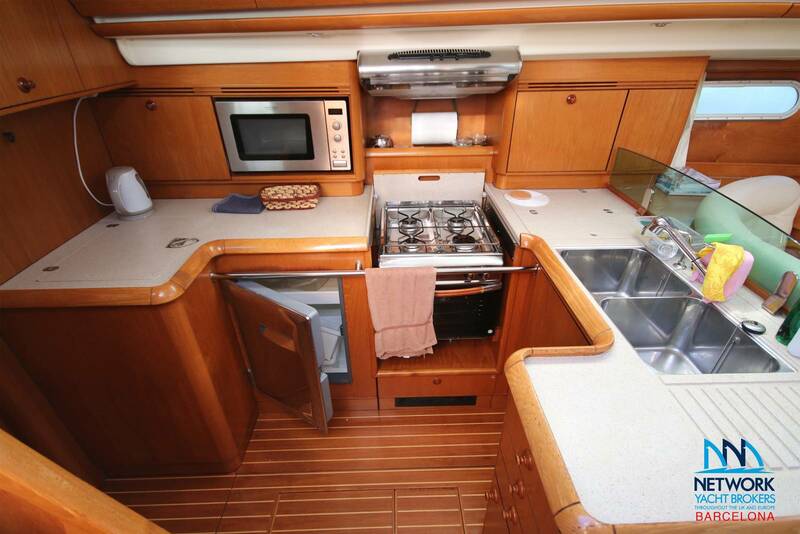 Jeanneau Sun Odyssey 54 DS 2005, modelo puesto en servicio y lanzado en 2006. 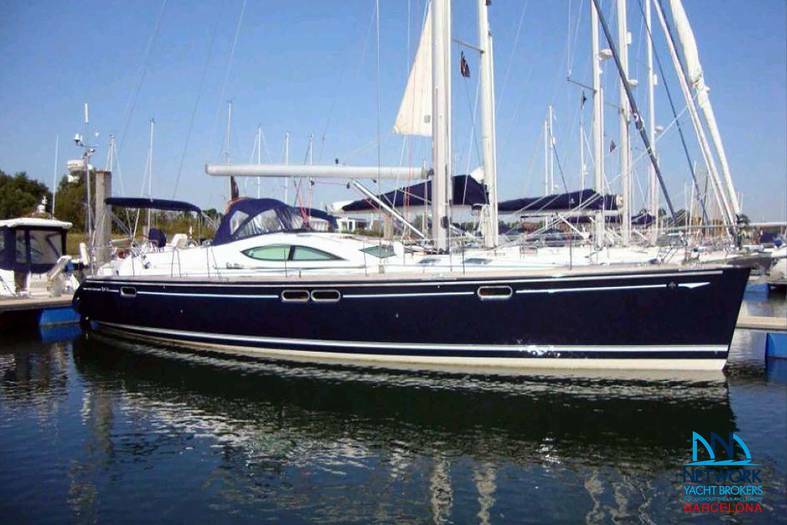 Este yate tiene un casco azul y cubiertas de teca. El sistema de mástil es estándar, y tiene muchos extras. Pueden dormir cómodamente seis personas en tres camarotes con la cabina principal inteligentemente posicionada hacia adelante. El divisor de cabina de popa es extraíble, para crear una cabina doble de popa si fuese necesario. Fluenta se presenta muy bien, habiendo tenido solo dos dueños de cuando se compró nueva. 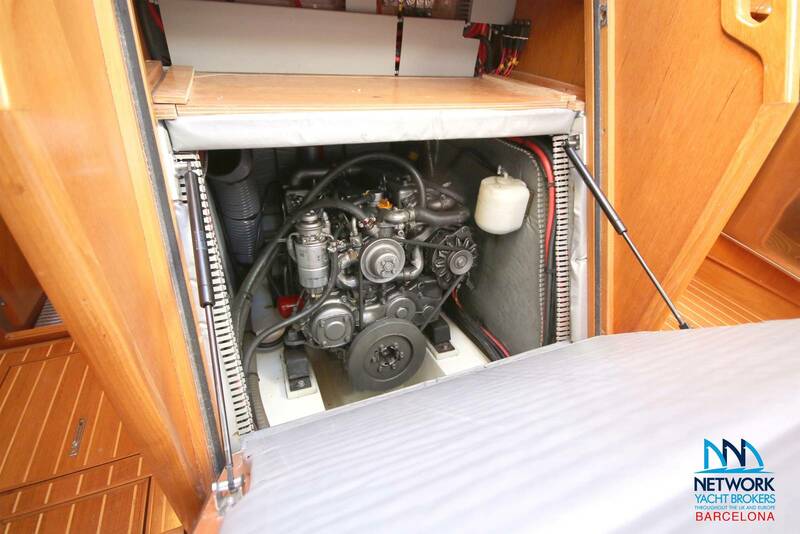 Este 54 DS Yacht tiene una especificación mediterránea completa que incluye aire acondicionado y generador. 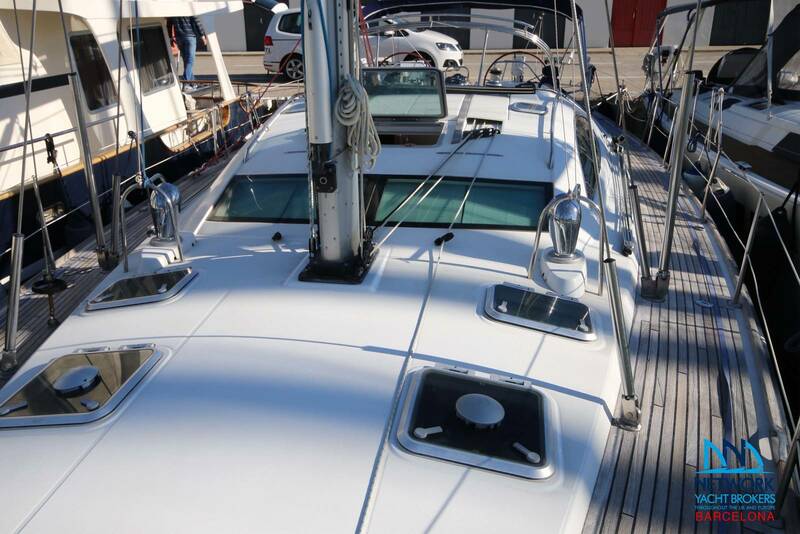 El propietario nos ha dicho que todo lo que está en el yate está incluido en el precio de venta. 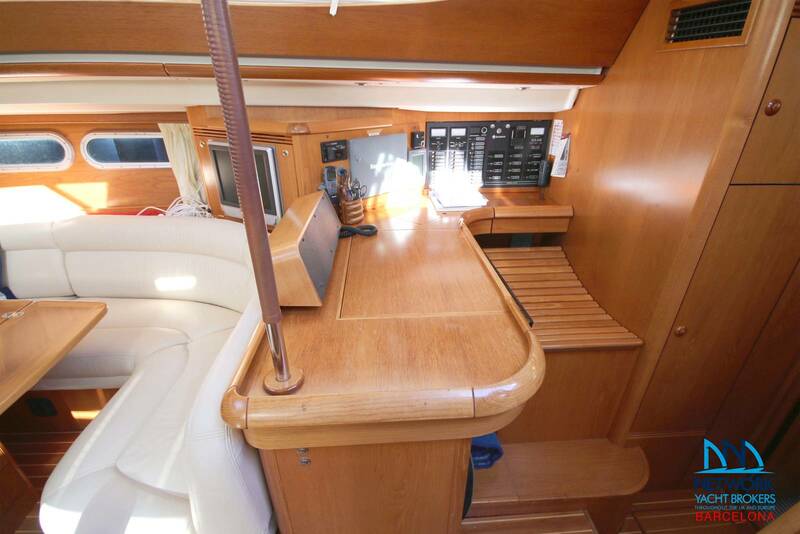 Recomendamos una vista de este hermoso yate, ella fue uno de los mejores diseños construidos por Jeanneau. Estamos muy cerca del Aeropuerto Internacional de Barcelona, ¿por qué no venir a visitarnos? 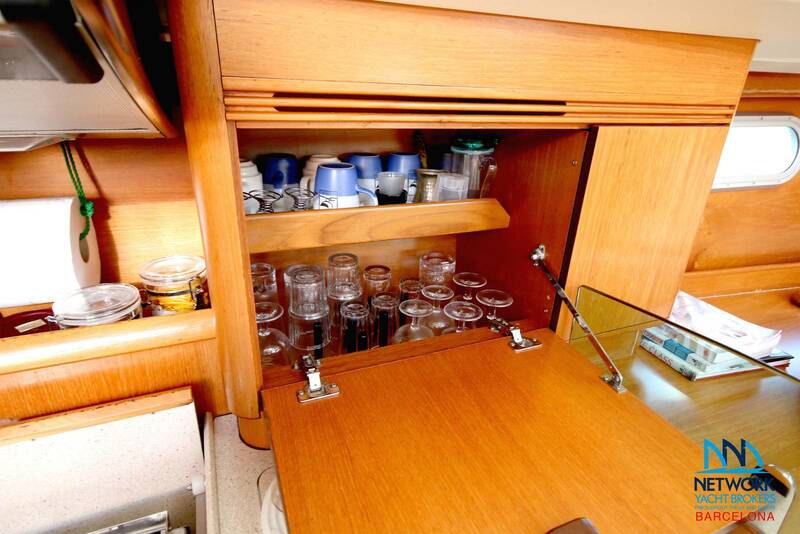 Four storage drawers under berth and 2 larges hanging lockers to starboard. 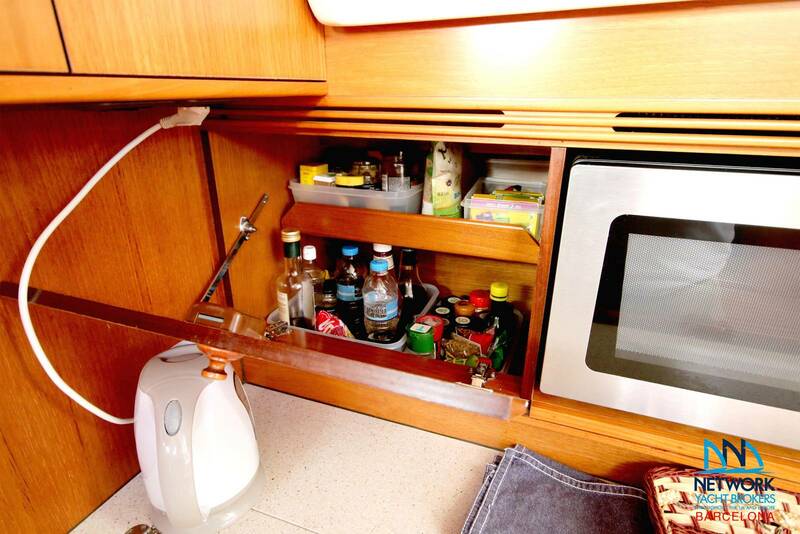 Large cupboard with shelves and hanging locker to port. 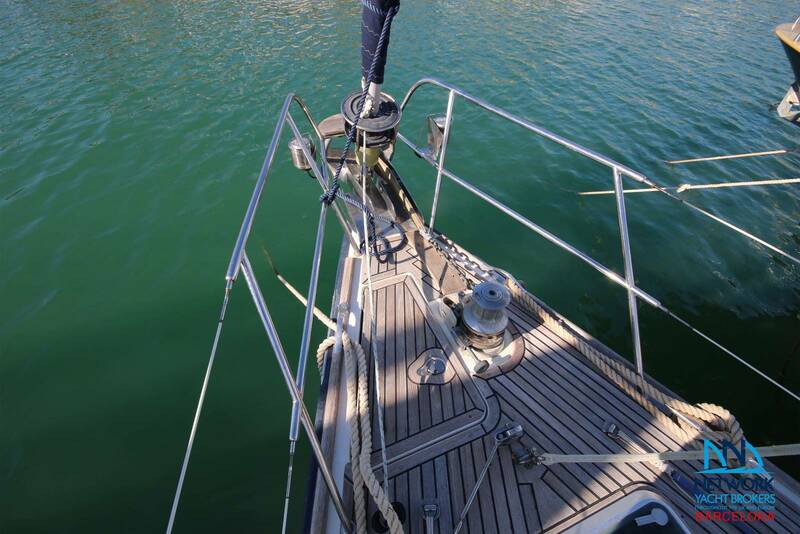 Teak lined hull with light headlining. 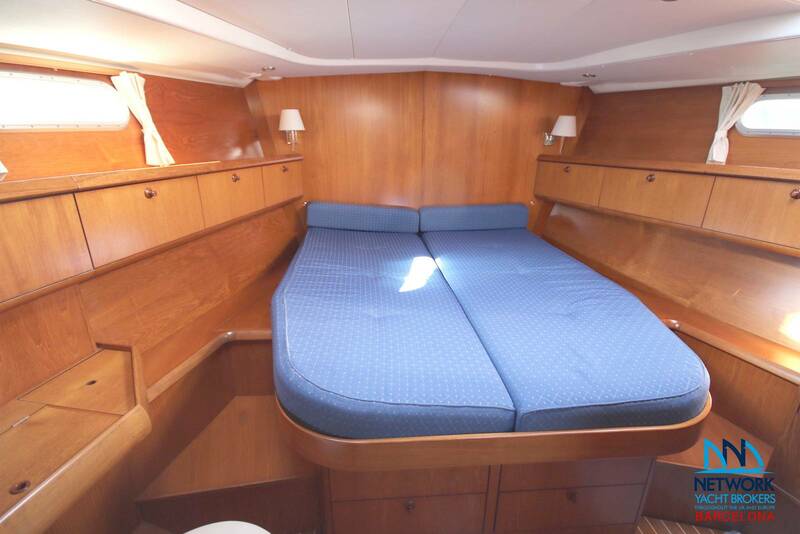 Two identical double aft cabins both with ensuite. 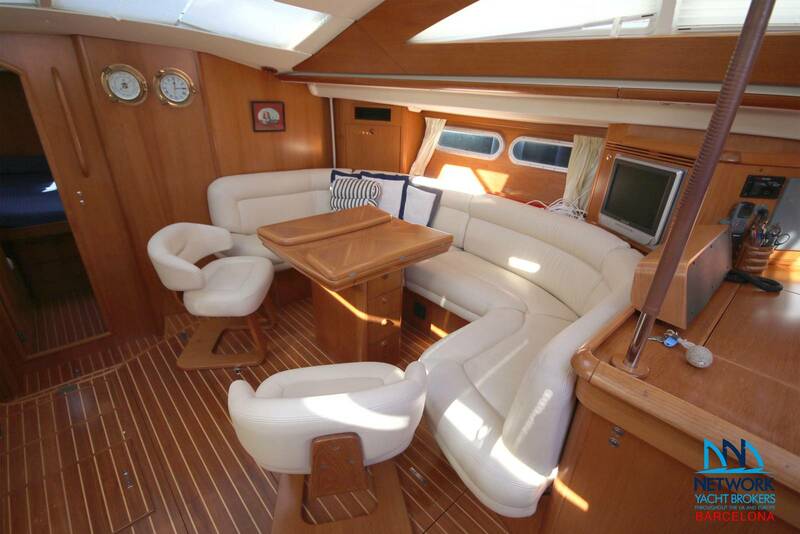 Both with sofa, hanging locker, under berth storage and side shelf along hull. 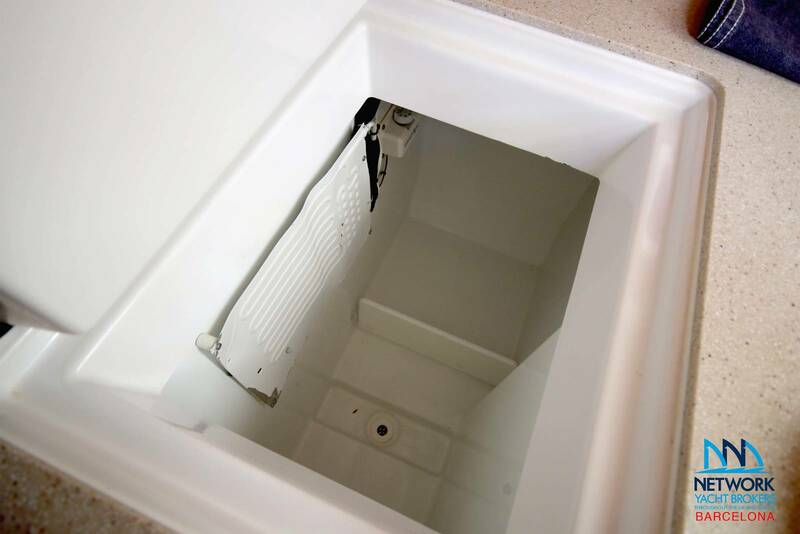 Front loading fridge with stainless steel door. 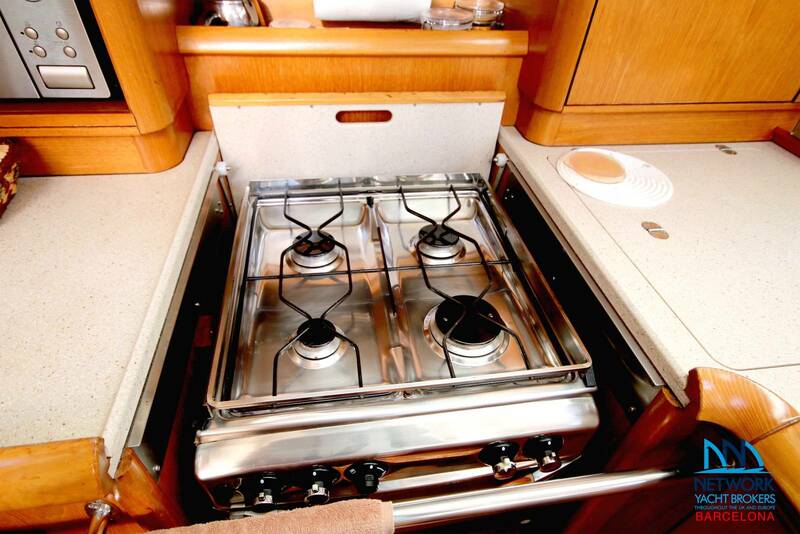 Double stainless steel sink with mixer tap and covers. Fresh and seawater foot pump. 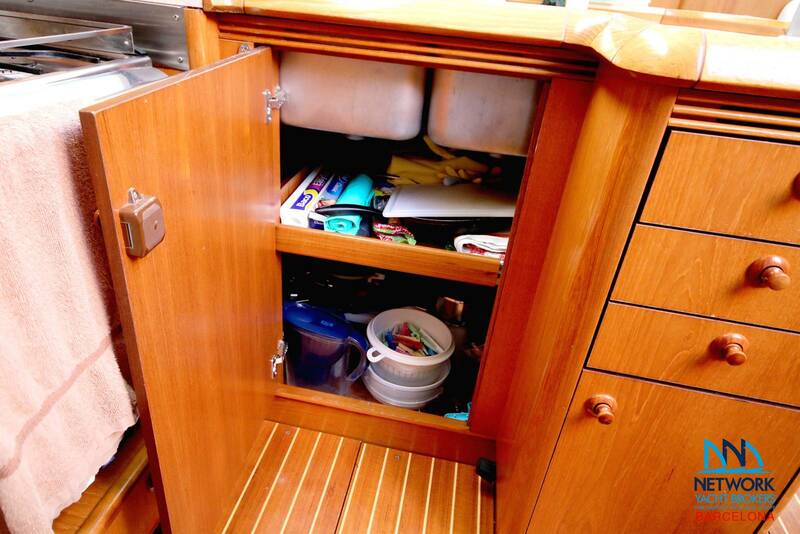 Storage for cutlery,crockery and utensils. 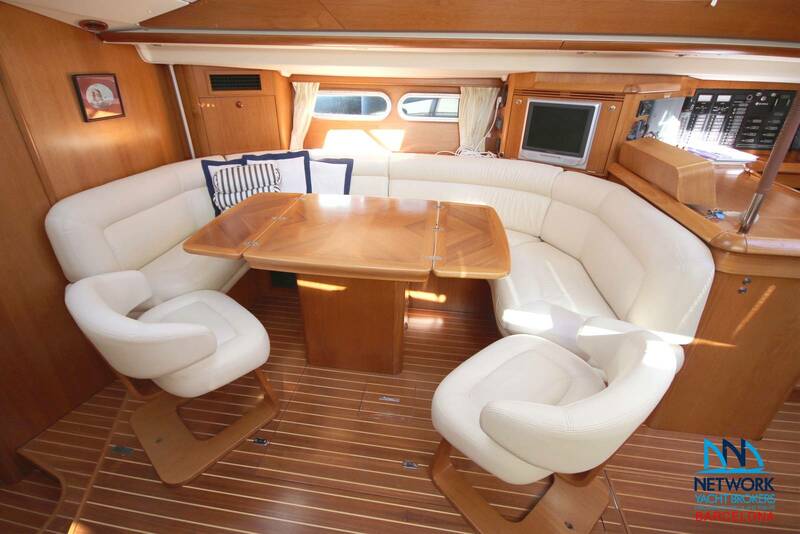 Cream leather upholstery & Teak floor. 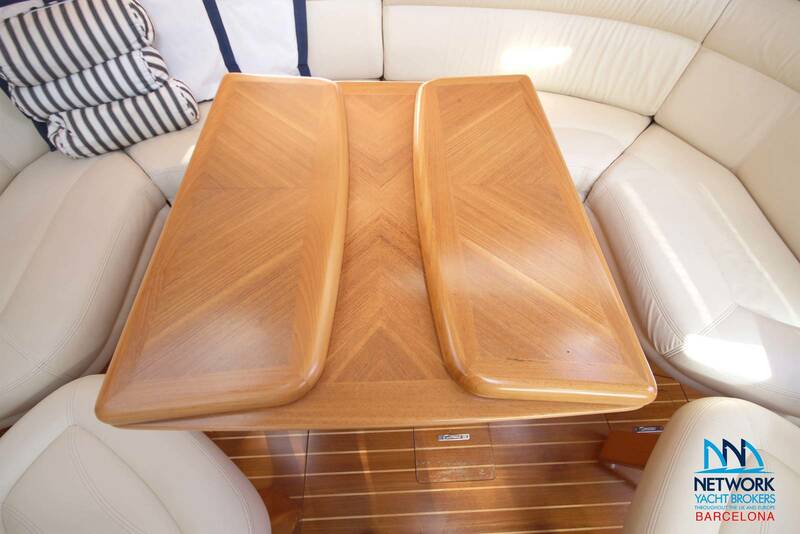 U shaped seating to starboard. 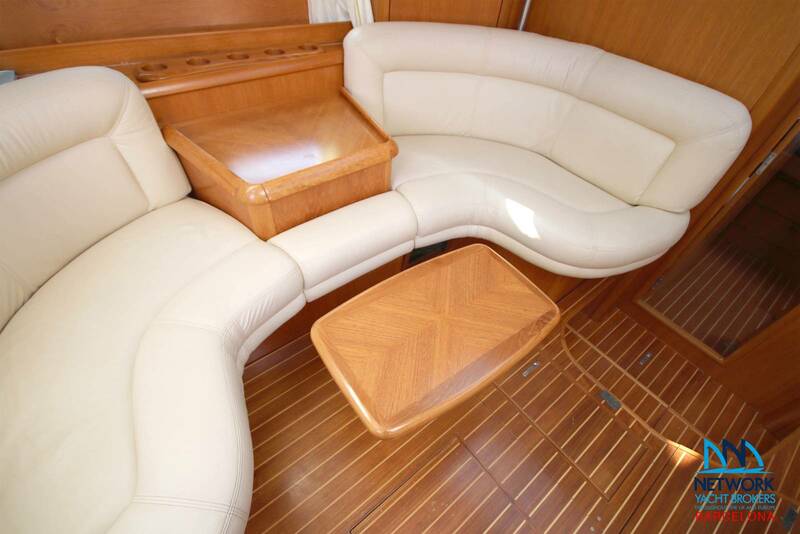 Lounge area to port with two angled seats and central bar. New sails Aug 2016 Storm jib with sheets. 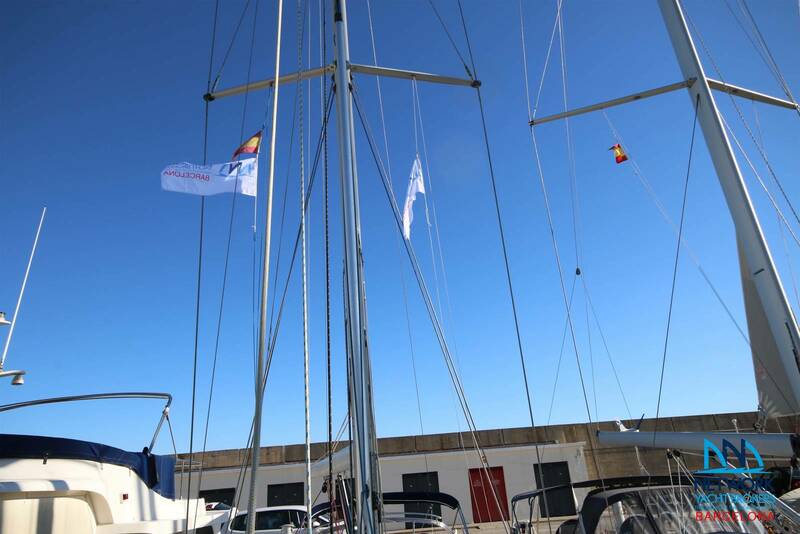 Spinnaker sheets and pole. 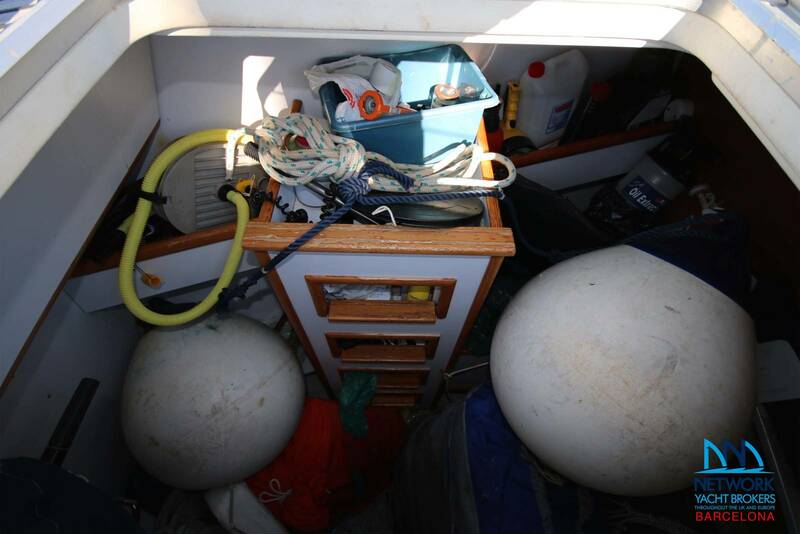 32 kg Rocna anchor and 34kg CQR spare. 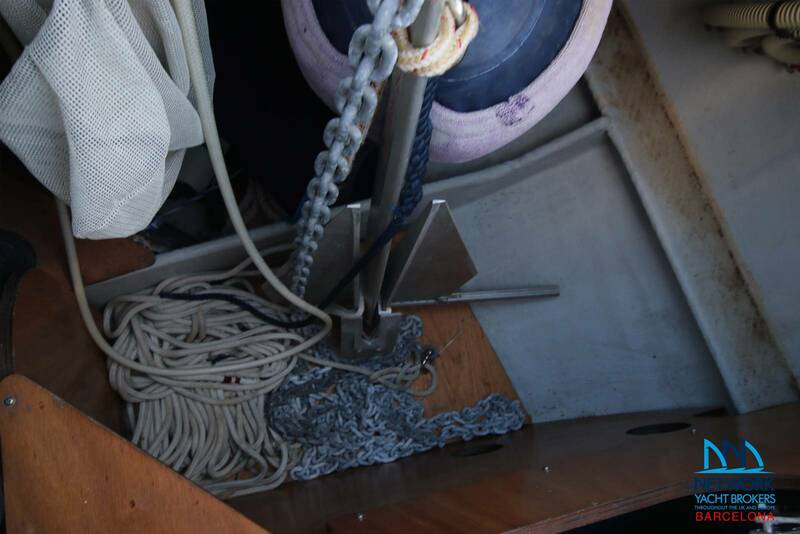 2 x Harken 46 self tailing two speed secondary winches. 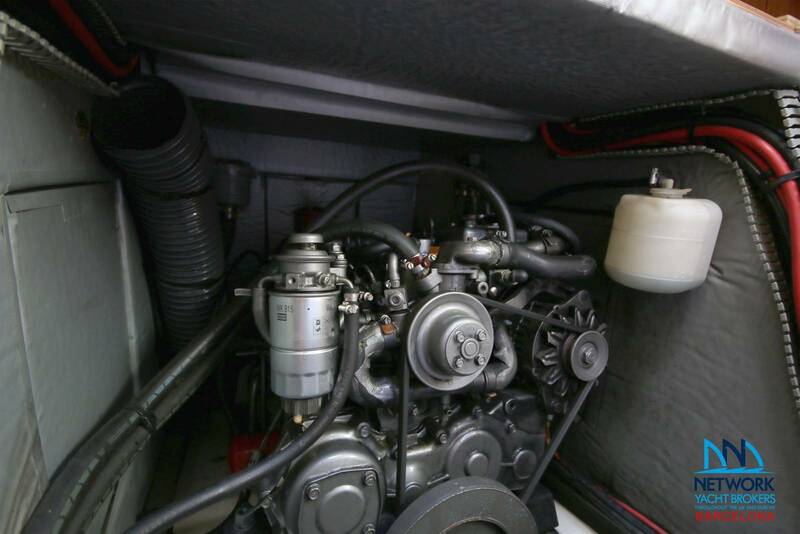 Raymarine ST60 tridata depth and speed at helm and chart table. 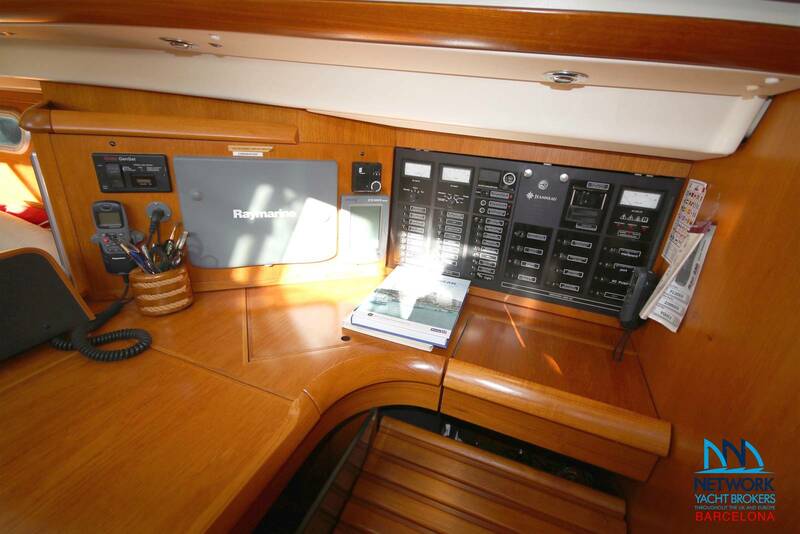 Raymarine ST60 wind speed and direction at helm and chart table. 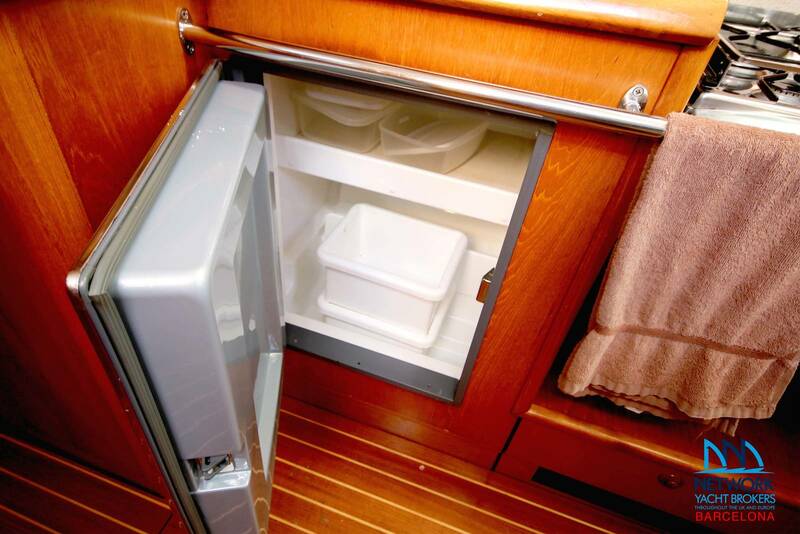 Storage compartments and lateral hull shelves.